Home/Investigators and Research Centers/Investigators/Elkin Muñoz, M.D., Ph.D.
Dr. Elkin Muñoz, MD, is the Chief Medical Officer of IVI Vigo and IVI Coruña Clinics, Assistant Professor at Vigo University in the Master’s Degree Program in Advanced Biotechnology with focus in assisted reproduction. He studied medicine at the University of Cauca (Colombia) where he also completed his residency in Obstetrics and Gynecology. Dr. Muñoz obtained two Master’s degrees on Human Reproduction, one at University of Valencia and the second one at University Rey Juan Carlos. Since then, he also completed Master’s programs in laboratory procedures in reproduction (2015) and in clinical research (2017) at the European Health School, University Rey Juan Carlos. Dr. Muñoz has always been intensely interested in regularly academic training; he obtained a university-based certificate on gynecologic and breast ultrasonography, a postgraduate degree in gynecologic oncology and an additional diploma in medical genetics at University of Valencia. He did his post-doctoral training in reproductive medicine and gynecological endocrinology at IVI Valencia and obtained his Medicine and Surgery doctorate degree in 2015 in the Pediatrics, Obstetrics and Gynecology Department of the University of Valencia. Dr. Muñoz is currently directing and supervising the following thesis project “Overall survival and disease-free survival in breast cancer patients under Controlled Ovarian Stimulation”. Dr. Munoz has received a large number of research-dissertation honors and recognitions, and has been awarded the “Alejandro Novo González Prize” in a couple of editions. In addition, European Society of Human Reproduction and Embryology (ESHRE) has also nominated Dr. Muñoz on several occasions. Dr. Muñoz is a member of the Spanish Reproductive Society, where he is an active participant in the Spanish Reproductive Endocrinology Interest Group, and leads an online course titled “Polycystic ovary syndrome throughout a woman´s life”. He is also actively involved in the European Society of Human Reproduction and Embryology (ESHRE), in several Colleges of Physicians (Almería, Pontevedra) and in The American Society for Reproductive Medicine (ASRM). 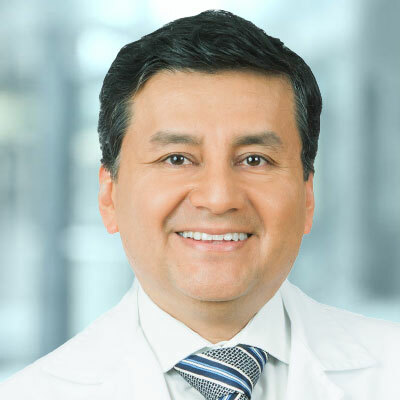 Dr. Munoz’s research interests include embryonic implantation, fertility preservation, reproductive endocrinology, and genetics. He has published over 20 peer-reviewed articles in leading reproductive journals and wrote more than 15 book chapters. He also serves as Ad Hoc Reviewer for reproductive journals, and is an invited speaker at national and international scientific meetings.